Looking for an exciting addition to your next party or event? 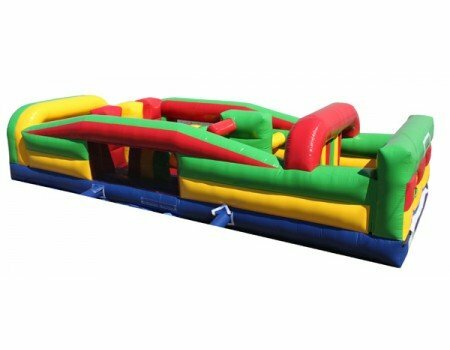 Check out our oversized 34' Obstacle Course inflatable! Spanning over 30 feet in length, It challenges guests to run, jump, and climb towards the top, where a slide awaits. This one is great for corporate events, as well! If your party or event is on Saturday, we can sometimes deliver on Friday ahead of time and at no extra cost to you. In your order form, be sure to note if this Is ok, and include other time constraints that we should be aware of as well.